In which Mr. Tilney has a secret. A gentleman stood in the church, looking around with an anxious air. His dress was subdued; a black coat and trousers, gray great coat, sturdy boots, and a wide-brimmed hat pulled low over his eyes. His wife had told him that he looked quite smart when he left her for his important mission. He heard footsteps behind him, and turned to see who had joined him; and then he knew that his own raiment, however glorious it had seemed in his own dressing-room, was merely ordinary. A long, long great coat made of black leather swirled around shining top boots, separating in front to reveal close-fitting black suede breeches. A black shirt and waistcoat, a loosely-tied black muslin cravat, and a wide-brimmed black hat completed his ensemble. He had a crossbow tucked under his arm. The first gentleman took some comfort from the fact that his own hat was not that much different from the leather-coated gentleman’s. “Hello, Edward,” said the second gentleman in a friendly tone. “Always good to see you.” He held out his hand. “It wears well,” he said. “Yes.” He held up a carved wooden cross. Mr. Ferrars was silent, and Henry nodded and smiled. “Oh, no doubt,” said Edmund with a sneer. Edward looked alarmed, and rubbed the woolen sleeve of his own great coat. “And we know you know fabrics,” said Edmund, still sneering. “I have no objection,” said Henry. “Nor do I,” said Edmund, looking rebellious. “I daresay I’m more likely to have one than you are,” said Edmund. “You should have at least a dozen,” said Henry. “Here, I’ve a stash under the altar.” He pulled out some stakes and a bag that Edmund could sling across his body to hold them. Edmund looked sulky, but took the stakes. “That’s better,” said Edward, relieved. “Miss Austen,” said Mr. Ferrars. “Miss Austen,” said Mr. Bertram. The door of the church opened, and Henry and Edward turned, weapons at the ready. Yet another clerical gentleman came in. “Many apologies, gentlemen,” he said. “I did not mean to be late, but my esteemed patroness required my services. However, I am here now, and ready to help, if you would just be so kind as to show me how I am to go on. I am very afraid that my training has not been concerned with these supernatural matters. We have no call for such at Rosings, but then Rosings is such a superior sort of place.” He stopped, one sensed more to take a breath than because he was finished. “I didn’t tell him,” said Edward. They both turned and looked reproachfully at Edmund. “Our leader knows that I have some experience in this sort of activity,” said Henry. Edmund walked away, still grumbling. Once Mr. Collins was fitted out with holy water, cross, and stakes, the sun was sinking, and they prepared to move out into the churchyard. Mr. Tilney led the way, leather great coat flaring around his booted feet as he walked. The other gentlemen of the cloth fell in behind him (Mr. Collins clinging rather closely to Edmund). Henry stopped in the middle of the cemetery, and the gentlemen readied their weapons. A sudden wind stirred up a whirlwind of leaves, and when it subsided, a vampyre stood before Henry. “You,” said the vampyre with deep loathing. “I,” said Henry, tracing a finger along the trigger of his crossbow. “Hush!” cried Henry, holding up his hand. The gentlemen then realized they were surrounded by dozens of vampyres. Mr. Collins gave a little screech. “Secret weapon?” asked Edward, who sounded concerned, though not exactly afraid. Henry raised his fingers to his mouth and gave a sharp whistle. A figure all in black dropped from the sky, landing in front of them. He moved in a blur, whistling noises filling the night as he whirled around them, tossing slim wooden stakes with deadly force. Vampyres howled and exploded into dust around them. The figure in black turned to face them. His face was masked. The figure in black disappeared as instantly and as silently as it had arrived. Henry fired his crossbow, reloaded with one motion and fired it again, and again, and again. The other three gentlemen snapped out of their astonishment and, cheered by these early successes, went to work with a will. Soon the vampyre squadron was thoroughly dispatched; even Mr. Collins acquitted himself respectably, and carried himself as though he had planned and carried out the entire operation. “You cannot leave me here alone,” said Collins in a frightened squeak. “Can we not stop even for a small bite and sup?” asked Mr. Collins pathetically. Henry did not answer him, but strode out of the churchyard, hat pulled down low over his brow, the tails of his great coat flaring behind him. Edward followed him. Collins looked at Edmund pleadingly, but Edmund said, “We should go, Mr. Collins,” and followed. Mr. Collins took one last quaking look around the churchyard, and scurried out behind him. Tune in next week for the next episode: The Gentleman in Charge; same Janeite time, same Janeite station. *Because frankly the only way to make Charles Hayter remotely interesting is to make him a ninja. Also, every story is better with a ninja. Leather greatcoats are very cool, indeed. And I loved the Rev. Ninja Hayter! Had completely forgotten about him. But what about Mr Elton? Does he not have a share in the conversation? Perhaps his cara sposa would not let him participate. Because considering recent casting choices, it would have been creepy and weird, even for this exceedingly odd and very meta fic. Also, poor Henry had enough potential d-baggery to contend with already, don’t you think? I was hoping Mr. Elton would join them. But the coat and ninja do go a long way to satisfy, as does HT calling Edmund Bertram a wanker! Some sort of injury to Mr. Elton. Not having a leather fetish, the leather coat doesn’t do it for me – I just keep thinking of how heavy it must be, and restrictive of movement. I do like a good ninja, however. Some sort of injury to Mr. Elton. This is my fav episode yet. They always fall back to the old arguments, those two. This should be made into a book!! It’s brilliant! A black leather greatcoat. You really know how it dress a hero. Agree, Van Helsing and his leather greatcoat is now my fave Henry…fab. choice being a priest. Ninja Hayter is pretty cool. Oh, is Wishbone a member of Miss Austen’s League ?- ok, I’m greedy ! I almost exploded when the ninja Charles Hayter came on the scene! I’m loving your league of Austen’s extraordinary gentlemen posts. There is no indication that Edmund gave up Thornton Lacey when he took the Mansfield living after Dr. Grant popped off; also it’s fairly obvious that Sir Thomas always meant Edmund to have both livings. Thornton Lacey was being “held” for him before his ordination, and Mansfield would have been held after Mr. Norris’ death had not Sir Thomas had to sell it off to pay Tom’s debts. Pluralism, in the sense of one clergyman having responsibility for more than one church, was (I believe) outlawed in the later 19th century. Obviously one of the parishes is not going to get proper attention, unless they were very close together, and the clergyman could physically hold services in both churches on a Sunday. If not, one parish would be allowed to wallow in its own ignorance and evil for a full week. This was obviously not desirable. 😉 And really, since landowners had to pay a tithe to support the church, it wasn’t fair, either. But so many livings were so poorly paid that many clergyman had to hold two or more livings just to make ends meet. It should probably be pointed out that Jane Austen’s father held two livings–Steventon and Deane. They were close together, and he seemed like a conscientious fellow, so perhaps he held services at both parishes. But in the late 18th century, it was not considered that big of a deal, I think. I feel sorry for the guy who “held” Thornton Lacey for Edmund, who was tossed out on the streets once His Lordship was old enough to be ordained. And if Tom hadn’t been a slacker, somebody else would have been tossed out of the Mansfield living as well. Thanks! And this proves that I really need to take you up on that JA and the Clergy book suggestion. I was I admit slightly disappointed in this one. You already have Mr.Collins to pick on, why pick on Edmund too? Yeah he doesn’t have the flair that Henry Tilney does but few do. (I do love Henry Tilney.) Except for that I thought it was still pretty fun and Charles Hayter as a ninja was brilliant. I’m sorry that you are disappointed, Andrea. I know that Edmund has fangirls, but I’ve never been shy about stating my opinion around here; my not-so-affectionate nickname for him is The Lord High Mayor of Wankerville. When he rationalizes Mary’s behavior and comments to Fanny I want to strangle him with his own dog-collar; and he never does anything to make me like him again like Darcy or Wentworth (who make me equally angry early in their stories). Edmund brings out the worst in me, so I am sympathetic to Henry. 😉 I do not think Edmund (or Fanny) would completely approve of Henry’s well-known goofy streak, either. It would be weird for me to all of a sudden be approving of Edmund in my silly metafic, and also I’m not too proud to admit that I’m going for a cheap laugh. What Good Ideas the Editrix has been Admitting ! ‘the gentleman or vampire who has not pleasure in a good novel must be intolerably stupid’. lolol ! 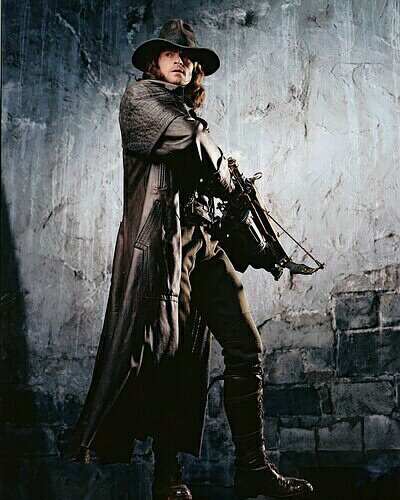 I’ve decided Van Helsing is my perfect Henry Tilney. You’re right. These things do not get the most robust editing. 🙂 I’ve rewritten that line. And yeah, Mr. D. is both flattered and annoyed about his treatment at the hands of the fangirls–and not just because of the monsters. This completely made my day. And I totally support Henry-love and Edmund-bashing, so I’m on your side for this one. And dear sweet Edward, trying to keep the peace. We can always count on the Rev. Henry Tilney to defend Miss Austen from the half-witted and poorly-written of the world!